California consumers do not expect to be injured when they buy a product. 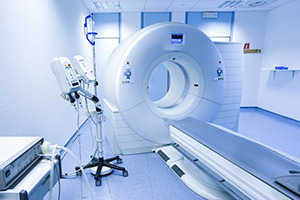 Unfortunately, many manufacturers do not place as high a value on safety as they should, and products including medical devices, pharmaceuticals, toys, and appliances may be unreasonably dangerous. The product liability lawyers at Moll Law Group are available to assist you with bringing an action against an entity that was responsible for harming you in Los Angeles. Billions of dollars have been recovered in cases in which we were involved. A plaintiff trying to recover damages for injuries caused by a defective product has three different theories under which to bring claims: strict liability, negligence, and breach of warranty. Fraud and deceit may also be applicable to your case, depending on whether the manufacturer concealed information, committed intentional acts, or willfully disregarded risks associated with the product. For many plaintiffs, strict liability is the most straightforward theory under which to pursue a lawsuit. Manufacturers may be held strictly liable when they place a defective product on the market, knowing it will not be inspected for defects, and the defect causes a consumer an injury or illness. The purpose of strict liability is to make sure that manufacturers who have access to more knowledge about a product pay the costs of injuries, rather than leaving these costs to a vulnerable and unwitting consumer. There are three types of defects for which a manufacturer may be held strictly liable: manufacturing defects, design defects, and marketing defects (also known as failures to warn). To prove a manufacturing defect in California, a plaintiff will need to prove that he or she was harmed by a product manufactured, distributed, or sold by the defendant, the product had a manufacturing defect when it left the defendant's control, and the defect was a substantial factor in causing harm to the plaintiff. Often, manufacturers allege misuse by the plaintiff as a defense. In that case, the plaintiff will need to make a prima facie showing that he or she was hurt while the product was being used in a reasonably foreseeable way. At that point, the defendant will have the burden to show misuse. Design defects are flaws in the intended design of the product. These cases often turn on the choices made by the manufacturer. The court will need to decide whether the consumer expectation test or the risk utility test applies to the product. This determination is made on a case-by-case basis. The consumer expectation test finds that a product has a defective design if it does not perform as safely as an ordinary consumer expects that it would. This is generally a simple test and often allows jurors to rely on their own experiences in making a determination about whether the product met minimum consumer expectations for safety. The risk utility test, by contrast, looks at whether a reasonable alternative design would have reduced the foreseeable risk of harm at a reasonable cost. If the court decides that the risk utility test applies, the plaintiff will need to present expert testimony related to an alternative reasonable design. The defendant will need to show that the benefits of the product's original design outweigh its risks. As a result, the plaintiff was harmed. If the product in question is a medication or medical device, the warnings must be given to the prescribing physician on a continuous basis as long as the product is in use. Los Angeles is usually associated with the motion picture industry in the popular imagination, but it is also the largest manufacturing center in the western region of the United States. If you are hurt in Los Angeles due to a defective product, the personal injury attorneys at Moll Law Group are available to represent you in pursuing compensation. We represent consumers throughout the United States. Call us at 312-462-1700 or use our online form to schedule a free consultation.